The Register covered the T4 product launch in an article as well as the Oracle's SPARC SuperCluster in an additional article. The writer was kind enough to include images of the new systems being released based upon the new SPARC T4 silicon. A simple PDF data sheet on the new Oracle SPARC T4 processor is available on Oracle's web site. On Monday, September 26, 2010 - a presentation and product launch was conducted. The Event Replay is available on-line, but some of the highlights are as follows. 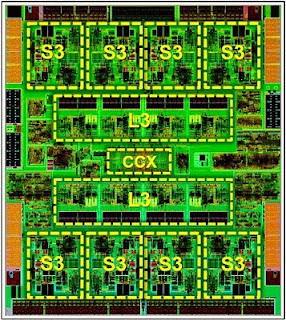 high thread performance: clock rate: 2.85GHz and 3.00 GHz. Some price/performance comparisons were made between a T4-4 cluster and IBM POWER 7 system. The market was reminded of the 2010 SPARC processor road map and how other vendors refused to release a public road map. IBM recently released a historical road map with no dates for POWER, but it seem they might be behind. Details for the next processor, SPARC T5? scheduled to arrive next year in 2012, revealed. A fairly extensive set of documents were posted over the past few years, but the URL's to these documents have changed, roughly since the acquisition of Sun by Oracle. Those core documents are listed below with why one might need to reference them. The Oracle Software Investment Guide is perhaps the most thorough document on performing Oracle installations within an organization. Perhaps these few sentences from the guide best describes what it contains. We provide a detailed overview on how to license all Oracle products, from the Oracle database platform and application server to all Oracle enterprise applications, which includes Oracle E-Business Suite, Siebel, PeoplSoft, and JD Edwards. Nine easy-to-read sections enable you to find the topics that interest you most. Within every section, each specific topic has hyperlinks and toll free numbers that enable you to get more information on the subject matter. Additionally, we've included illustrations to enhance your understanding of our pricing practices related to data environments, batch processing, and more. Pricing information on Oracle services, such as Support, Outsourcing, Consulting, and Education is also here. This guide is clearly not isolated to merely Oracle Databases, but it is an authoritative source. Oracle regularly updates their Database Licensing guideline document. Terminology such as Test, Production, Sockets, and Processors are defined within this document. Finer details which are often commonly asked questions include: development databases are normally no charge, but test and production databases must be purchased; Oracle Standard Editions may be charged by socket, but more advanced features means per-processor or per-user licensing must occur with Oracle Enterprise Edition; when dealing with IBM & Intel CPU's, "each chip in the multi-chip module is counted as one occupied socket." Oracle regularly updates their Server/Hardware Partitioning document, as system vendors create new technologies. Rigorous vendors create technologies categorized under "Hard Partitioning" (i.e. Capped Solaris Containers) while less rigorous vendors often create "Soft Partitioning" technologies (i.e. VMWare.) Some virtualization technology can be implemented as both Hard or Soft Partitioning, so implementation details must be attended to (i.e. Oracle VM implementation notes.) Costs can be controlled through careful architecture decisions, if one understands how a "Processor" is counted in such virtual environments. Oracle's standard Commercial Technology Price List which includes the database packages, is also published in PDF. While this price list changes regularly, Oracle specifies the retail pricing for databases such as: Standard Edition One, Standard Edition, Enterprise Edition, additional add-on components, etc. It would be wise to track these changes to these documents, as new purchases are required, and new architectures are being developed. Solaris 10: Update 10 - Released! Solaris 10 Update 10 has been released, note the "What's New" document. Oracle licenses it's RDBMS by several factors, typically the Standard License (by socket) and an Enterprise License (by core scaling factor.) 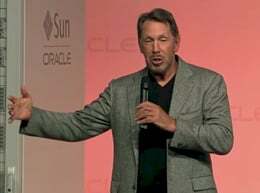 Occasionally, Oracle will change the core scaling factor, resulting in discounting or liability for the consumer. The SPARC CPU from Oracle is an implementation of the SPARC V9 open specification. There have been several series of chips based upon this implementation: T1, T2, T2+, and T3. The T1 & T2 are both single socket implementations, while the T2+ and T3 are a multi-socket implementation. Oracle has released on their roadmap that the SPARC T4 processor will be coming out shortly. The SPARC T4 has been added to the Oracle RDBMS "Processor-Core Factor Table". Note, Green is new. 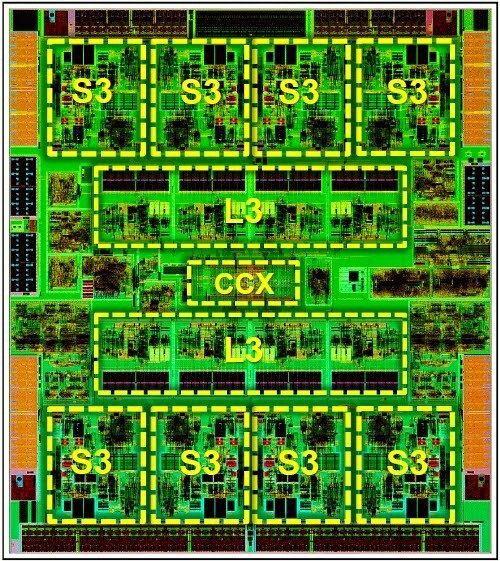 Oracle has added the T4 processor with a core factor of 0.50. It appears that Oracle will be releasing SPARC T4 into production. Purchasing should be watched very closely during this transition period. If there is the need for increased thread performance, the 8 core T4 may be leveraged instead of the 16 core T3, with no impact to Oracle licensing when databases require an RDBMS. The Oracle SPARC T4 finally looks like a good candidate to replace those old SUN UltraSPARC IV+ systems, which are so highly cherished for their single thread performance. There is probably no better Network Managment platform to consider at this point in time.